The doors of the main branch of the New York Public Library (a.k.a. the Stephen A. Schwarzman Building) opened 100 years ago this Monday, May 23. Designed by Carrere and Hastings, this grand icon of Beaux-Arts New York was constructed as a consolidation of three huge private collections from the estates of hospital founder James Lenox, presidential candidate Samuel Tilden and the always formidable John Jacob Astor. 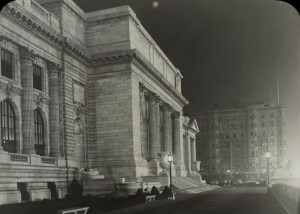 The By 1911, the city was also operating branch libraries, many older than the 42nd Street main building and all mostly funded by Andrew Carnegie. Check in with the library’s official NYPL AT 100 website for a list of centennial events, including all-day building tours, theater and magic shows, and even free ice cream. Ice cream, people! 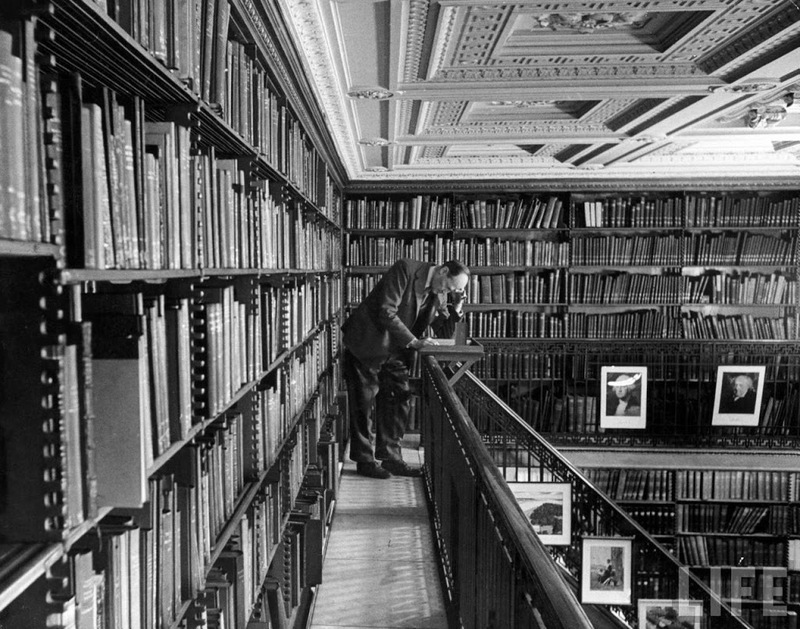 I have to thank the library for allowing us to continue using their exhausting collection of old prints and photographs. You can check out the collection for yourself here. The New York Public Library was the subject of one of our very first podcasts (#17), and it wasn’t too shabby, actually. You can download it from here, find it at our Bowery Boys: NYC History Archive page on iTunes, or listen to it now by clicking here.